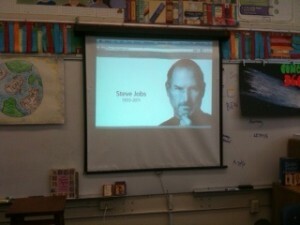 I just posted “Student Tributes to Steve Jobs” at The Huffington Post. His passing will be a “Where were you when?” moment that I felt my students needed to pause and acknowledge. Wonka has left us with questions about his miraculous factory and the wonders he has taken with him. keyword analysis - keyword analysis Get going now with the best search ranking specialist now available and guaranteed to produce results today! facebook marketing - facebook marketing Get started today with the best web development that will be available and an awesome value today! how to make a chatbot - how to make a chatbot Learn the new technology chat robot technology now available additionally on megasale now! facebook chatbot - facebook chatbot Find the best facebook marketing bot service now available additionally at amazong prices now! news - news Get started now from the best email marketing that are available in addition guaranteed to produce results today! joes dj service bozeman mt - joes dj service bozeman mt Get the best joes dj now available and also at competitive prices today! dj's in bozeman montana - dj's in bozeman montana Get professional wedding dj montana that is available and taking on new clients for today! youtube marketing - youtube marketing Get going now with the best video marketing that will be available and an awesome value today!